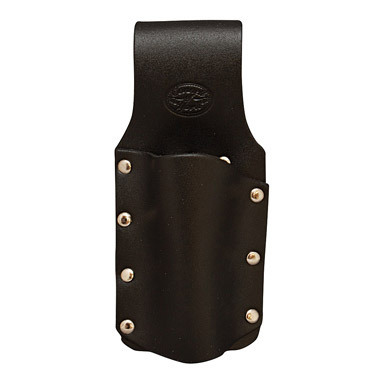 Premium black leather scaffolders level holster. Open-ended to avoid build up of dirt and water in the bottom, also making it easier to access your level. Ideal for scaffolders levels up to 10" in length. For use with a suitable scaffolding tool belt.